Did you know that in addition to our training and professional development workshops for teachers, we also offer student-facing workshops? Our team of teachers can come onsite to your school to lead a student-facing workshop on a variety of different topics. Each session is adapted to your school, and designed to meet your specific course requirements and take into consideration your students’ specific needs and interests. 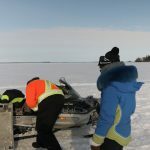 This post showcases a series of workshops that our team did over the past two years at Kainai High School in Alberta. 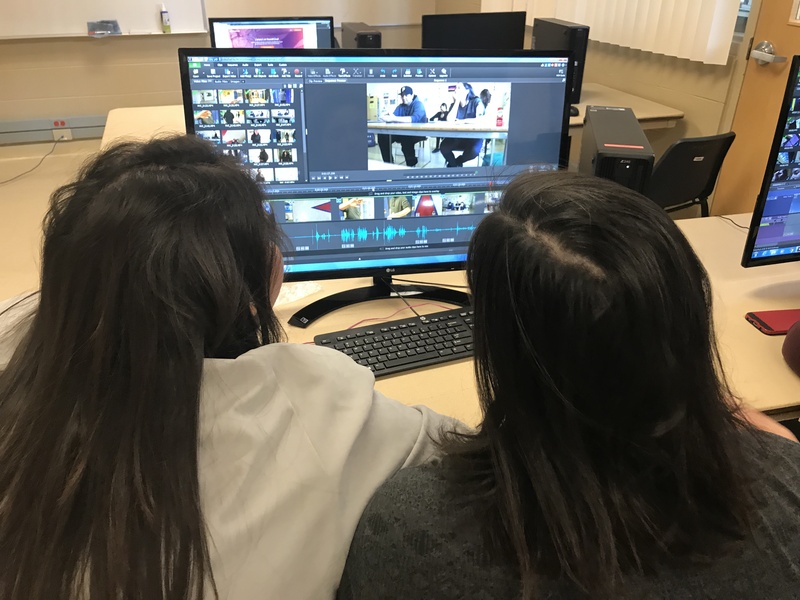 During the 2017/2018 academic year, we worked with the school to design and deliver a hands-on media skills workshop. This session provided high school students with an introduction to camera skills and filming, including learning about camera shots and angles, storyboarding, camera recording techniques, and video editing. This week-long workshop equipped students with introductory multimedia skills that they could continue to develop and explore for careers in the graphic and web design, media, communications, television, and film industries. 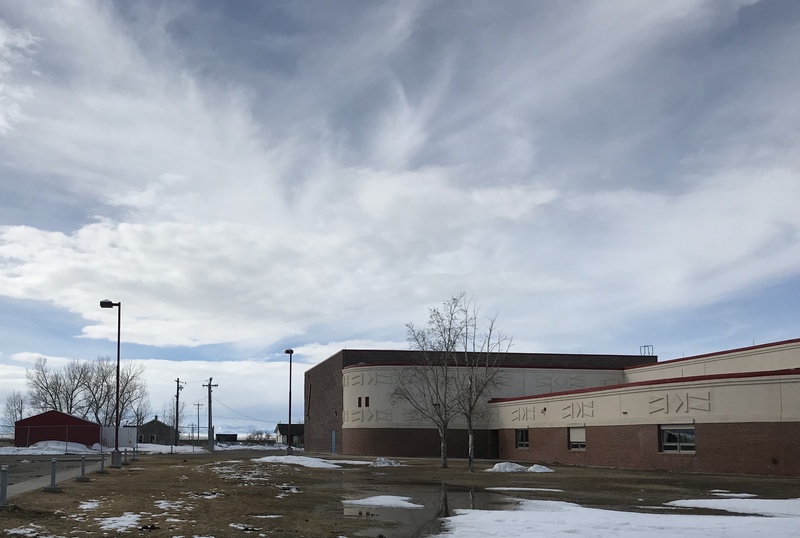 For the 2018-2019 school year, we again worked with Kainai High School to offer week-long workshops on three different topics: Digital Storytelling, Job Skills, and Critically Analyzing Media. Our first workshop took place in October, and it focused on Digital Storytelling. This workshop was tied into the Alberta Aboriginal Studies curriculum, and it looked at the concept of how to effectively convey a story using technology. The week started with Natalie Gilbert, from the Learning Bird team, leading a discussion on traditional storytelling using Napi the Trickster and analyzing the elements of an effective story. The students were then asked to bring in an object from home around which they could build their own story. Students brought in a number of items, from knapsacks to guitar picks, to photographs. Over the next few days, they worked in pairs or small groups to plan out their story and gather supporting photos for the video. For some this involved finding images online and for others, it meant taking photos and arranging them to convey their story. Students finished the workshop by presenting their finished project to the class. This proved to be a very popular workshop with students and has been requested again for next year. The second session was offered in December and it focused on Job Skills. This workshop was adapted to support the school’s Career and Life Management (CALM) curriculum. The hands-on workshop helped students develop their skills in cover letter writing, career exploration, and interviewing. Joelle, from the Learning Bird team, worked with the students to explore a number of different career options and helped them create tailored cover letters. She also worked with them to prepare common interview questions and guided them on how to successfully navigate a job interview. The students paired up and practiced asking and answering a variety of questions and then filmed their interviews so they could critique each other’s performances. A third workshop is scheduled in March. Natalie will be working with students on the topic of Critically Analyzing Media. This workshop, which is part of the Film Studies course, will help students develop critical thinking around the way that individuals and groups are portrayed in the media (film, television, and the news). It will cover a range of topics, including stereotypes, positive and negative bias, fake news, and misrepresentation. This workshop will work to increase students’ digital and media literacy. These workshops are just some of the student-facing topics our team is equipped to deliver. Would you like to offer a similar student workshop at your school? Contact us to discuss options on timing and scope.